It’s paradoxical...and annoying. Our consumers want personalized, tailored experiences, but they hold their data cards close to the chest. After Cambridge Analytica, data breaches, and creepy advertising practices, the only way forward is to build (and maintain) trust with your audience. How did we get here? With so much data at our fingertips, what went wrong? 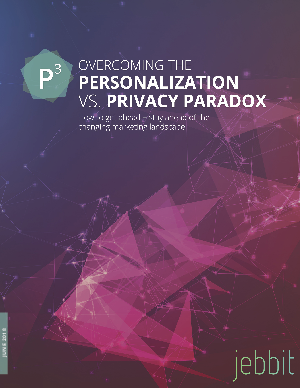 How do consumers feel about personalization in 2018? How to get ahead and stay ahead. What data to keep, and what to throw out.